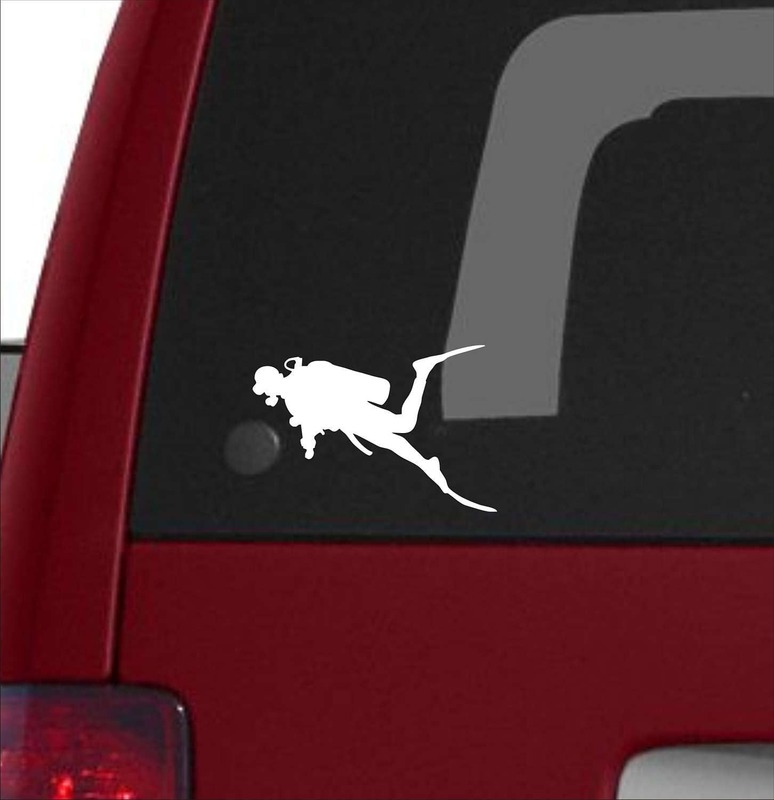 Scuba Diver Decal: Premium vinyl decal for Scuba Divers! 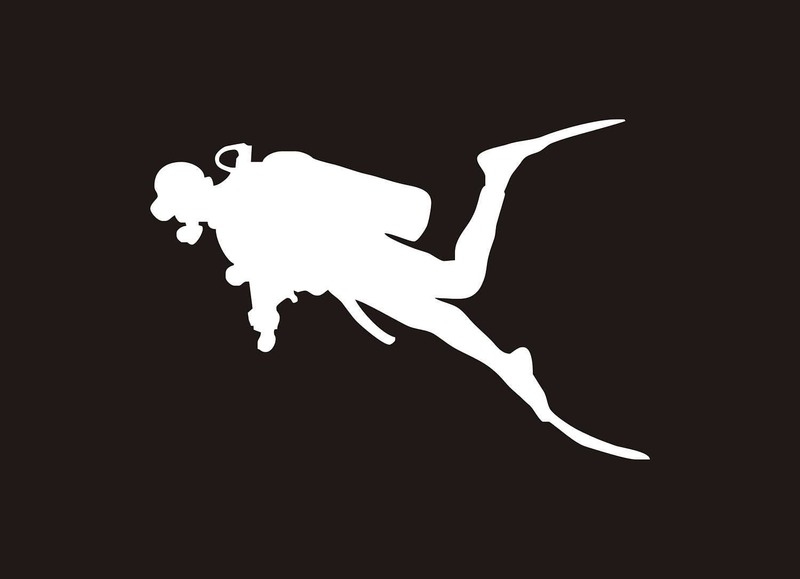 Detailed silhouette of a cool scuba diver. 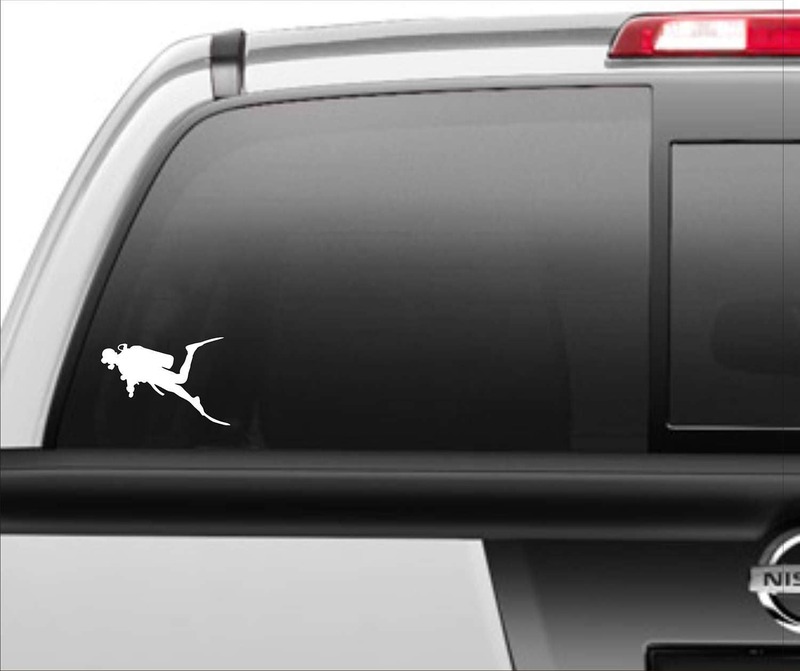 Show the world your passion for adventure with this unique decal. Approx. size is 3.5" 5.5". Please contact me if you need a custom size or color. We use only premium outdoor vinyl. Great for your car, truck, boat, RV, laptop, fridge, etc. These decals are NOT cheap peel-n-slap stickers. Long-lasting and water/weather resistant with an average lifespan of 5-7 years. Easy to apply and application instructions will be included with each order. *****ALL of our customers will receive a FREE surprise gift with each order. Very nice. Fast shipping. Thank you!